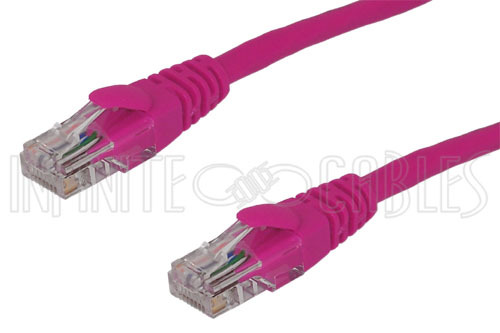 Standard Cat5e patch cable in a fashionable raspberry pink shade, to go with your MonBOX, 5 feet long. Yes, we know it's not actually exactly "raspberry pink", but it's as close as we could find. A note on pricing: Cat5e cables are available cheaper in lots of places, and we won't be upset if you shop around. 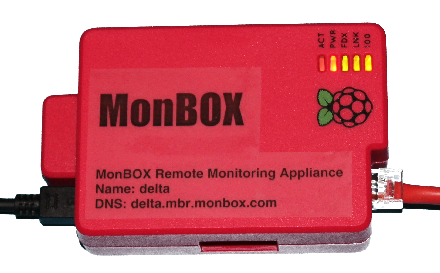 We offer these cables here just in case you want the convenience of one stop shopping - we can pack one together with your MonBOX so you have everything in one package. We source our cables through the fine folks at Infinite Cables.